Farmer’s suicides appear to see no end in Maharashtra, regardless of the announcement of Fadnavis government of loan waiver. It has been registered from January 1, there were 278 farmer suicide cases and in the past eight months in the same Marathwada region of Maharashtra, the record shows 580 farmer’s suicides registered, revealing the poor light of the government. The farmer’s suicides taking place continuously is not less shocking. The numbers are increasing and this is because, for the past two and a half years, the government did not decide on the loan waiver. 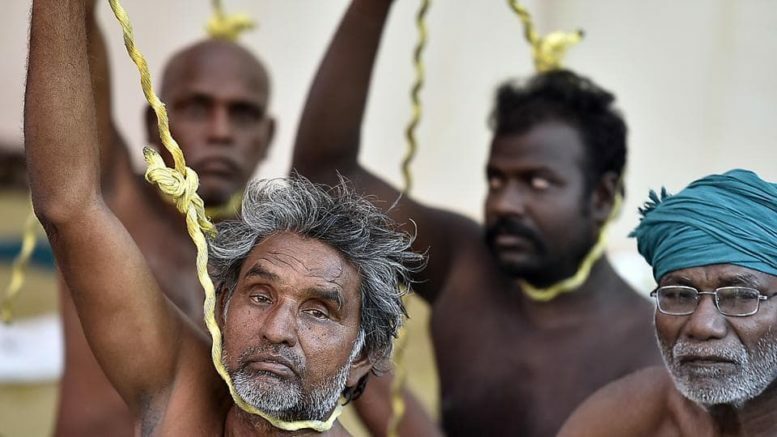 The opposition met farmers and now the government can do at the least is meet and prevent suicides. In the Marathwada region, nearly thirty-four farmers in the past eight days committed suicide said today a government report. The region is continuously facing rainfall below average every monsoon. Met officials had predicted after August 15 good showers, but there was scattered rainfall hardly in the past two days, said a farmer-centric political outfit, Yogesh Pande, a Swabhimani Shetkari Sanghatna spokesperson. The distressed farmer’s incidents of suicides are increasing in the Marathwada region recording in 2018 up to April 16, 2018, as 278 and this shows a rise of 27 numbers in comparison to last year. This rise is despite waving crop loans by the Maharashtra government to 9 lakh farmers and they have also implemented measures such as Jalyukat Shivar to handle such situation. The key reason for suicides is the mounting debt, infertility, hailstorm rains, no return, etc. The highest is in Beed with 51 suicides and followed by 45 in Aurangabad, 40 in Osmanabad, 36 in Parbhani, 31 in Jalna, Latur and Nanded with 27 and Hingoli 21. Among these 278 suicides, 115 cases are applicable for compensation, while 56 were rejected, while 107 cases are pending. Be the first to comment on "Marathwada, In Maharashtra Since January 1, Reports 278 Farmer Suicides"